Arlington Greens have called for more solar panels on buildings in Arlington, particularly after the power shortages that adversely affected tens of thousands of Arlington residents in July after the Derecho and then this fall after Hurriane Sandy. Read Arlington Green candidate Audrey Clement’s speech to the county board below. Some Arlington resident went without power for over a week during the two episodes. The New York Times reported in an op-ed by Robert Kennedy, Jr and David Crane on the need for all areas of the U.S. to begin getting solar panels installed. Not only would energy bills be sizabely reduced and carbon emissions reduced, but as hurricanes and severe weather in the U.S. disrupt the electric grid, many people could function much better with solar power from their own roofs. Dec.12, 2012, The New York Times. Solar Panels for Every Home By DAVID CRANE and ROBERT F. KENNEDY Jr.
WE don’t think much about pitch pine poles until storms like Hurricane Sandy litter our landscape with their splintered corpses and arcing power lines. Crews from as far away as California and Quebec have worked feverishly to repair or replace those poles as utility companies rebuild their distribution systems the way they were before. Solar panels have dropped in price by 80 percent in the past five years and can provide electricity at a cost that is at or below the current retail cost of grid power in 20 states, including many of the Northeast states. So why isn’t there more of a push for this clean, affordable, safe and inexhaustible source of electricity? In Germany, where sensible federal rules have fast-tracked and streamlined the permit process, the costs are considerably lower. 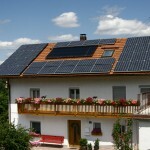 It can take as little as eight days to license and install a solar system on a house in Germany. In the United States, depending on your state, the average ranges from 120 to 180 days. More than one million Germans have installed solar panels on their roofs, enough to provide close to 50 percent of the nation’s power, even though Germany averages the same amount of sunlight as Alaska. 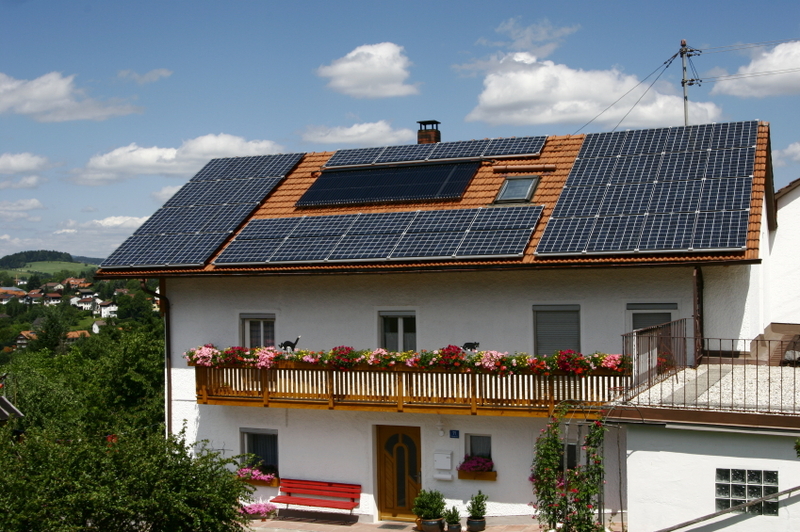 Australia also has a streamlined permitting process and has solar panels on 10 percent of its homes. Solar photovoltaic power would give America the potential to challenge the utility monopolies, democratize energy generation and transform millions of homes and small businesses into energy generators. Rational, market-based rules could turn every American into an energy entrepreneur. That transition to renewable power could create millions of domestic jobs and power in this country with American resourcefulness, initiative and entrepreneurial energy while taking a substantial bite out of the nation’s emissions of greenhouse gases and other dangerous pollutants. As we restore crucial infrastructure after the storm, let’s build an electricity delivery system that is more resilient, clean, democratic and reliable than the one that Sandy washed away. We can begin by eliminating the regulatory hurdles impeding solar generation and use incentives like the renewable energy tax credit — which Congress seems poised to eliminate — to balance the subsidies enjoyed by fossil fuel producers. And as we rebuild the tens of thousands of houses and commercial buildings damaged and destroyed by the storm, let’s incorporate solar power arrays and other clean energy technologies in their designs, and let’s allow them to be wired so they still are generating even when the centralized grid system is down. <>We have the technology. The economics makes sense. All we need is the political will. David Crane is the president of NRG, an energy company. Robert F. Kennedy, Jr. is a senior attorney for the Natural Resources Defense Council and president of Waterkeeper Alliance.